Quickly, On-Time, & Within Budget! And All Of Central Florida! 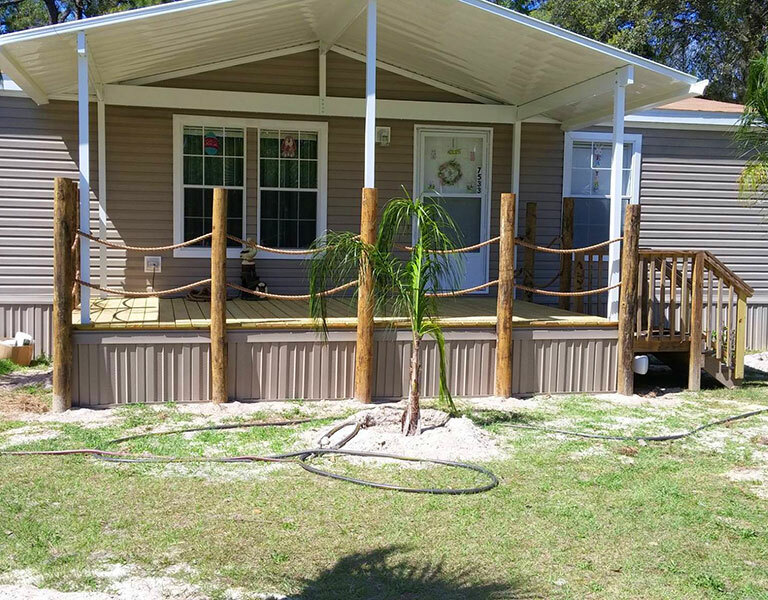 Cages, Screen Rooms & Carports! 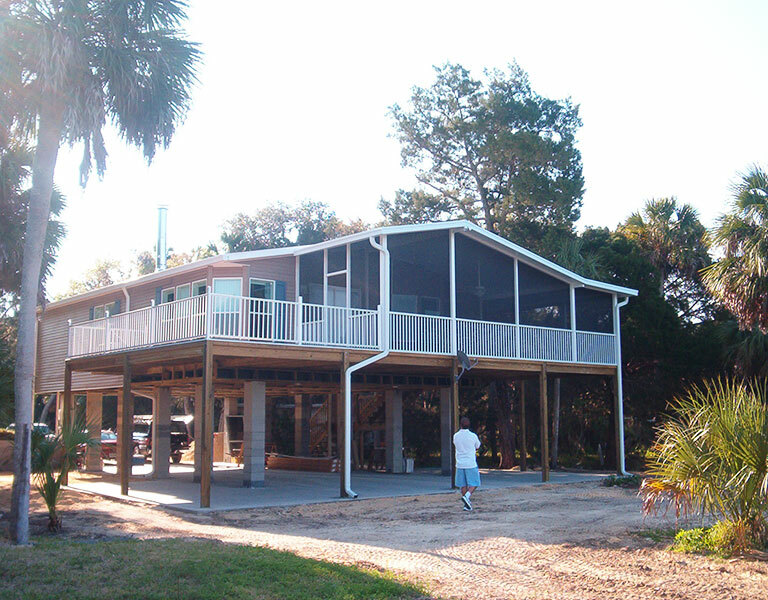 Advanced Aluminum is a General Construction company that specializes in building homes, pouring slabs, aluminum work, carports, remodeling, and more. 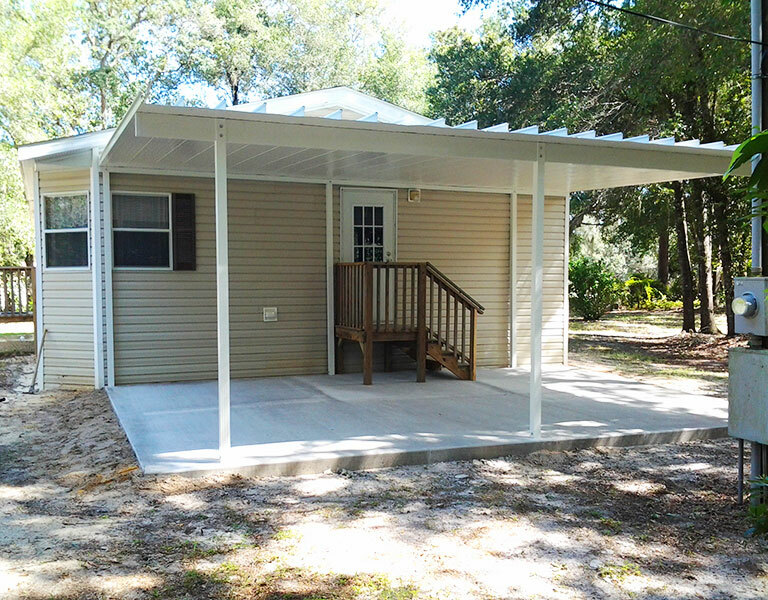 Advanced Aluminum builds car ports, patio covers, utility sheds, room additions, screen rooms, offices & much more! 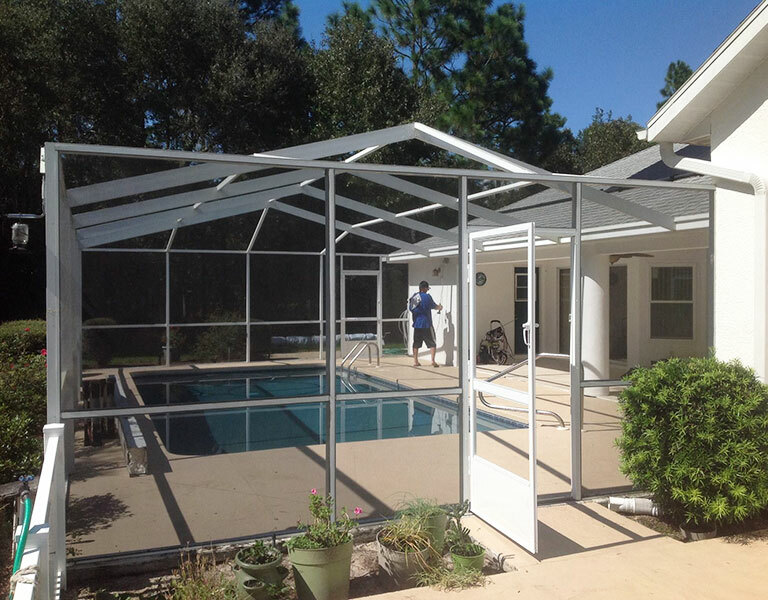 Contact our aluminum construction experts today. 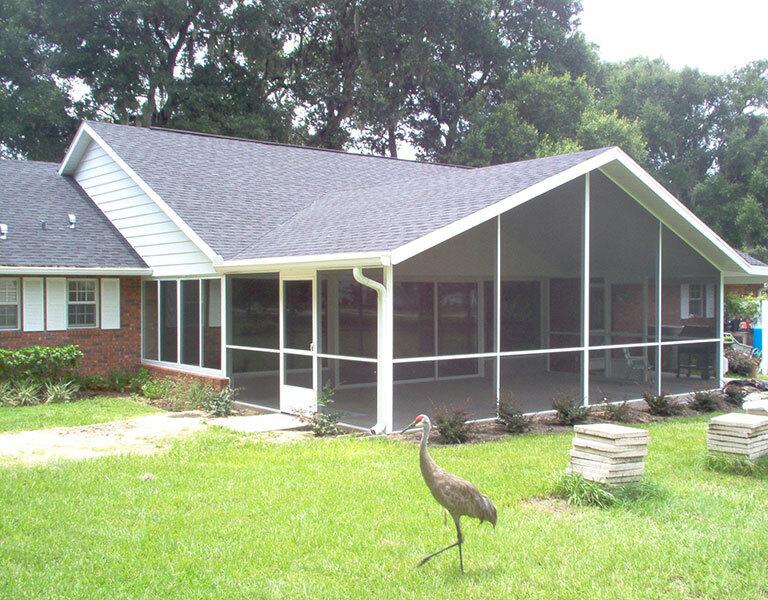 We offer commercial & residential services in Central FL! Request an estimate for your next project! Our estimates are always Free and provided with no obligation! I had a picture in my head that no one else though could be done. You understood right away and the drawings were perfect, first time. After a total facelift of her older mobile home: "The trailer looks great - it looks like a new one. We want to tell you how very pleased we are with the excellent job on the new pool cage. We've had so many compliments and we're tooting your horn. Your men were so conscientious and left the area spotless when they were finished. We could not be more pleased! From start to finish, the service we received from Brian and his team was outstanding. They kept our home and yard clean, and they came in on-time and on-budget. We could not be more pleased with our new pool cage! We are so proud of how our new Florida room looks. Our entire family is enjoying the new space every day. Highly recommended! I am so happy I took my sister's advice and called Mr. Tambasco. I love, love, love my new porch space. *Up to a $200 value when you contract with us. Can not be combined with any other offer.